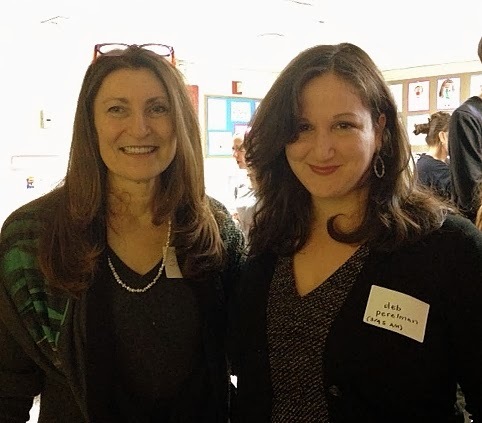 When my friend Elaine extended an invitation to a cookie swap for preschool parents at the Third Street Music School (and mentioned that among the parents would be Deb Perelman of Smitten Kitchen fame), I jumped at the chance to meet one of my culinary idols. Everyone would bring a batch or two of cookies and then we'd all share, just like in preschool. But unlike preschool, the wine flowed freely at the swap. 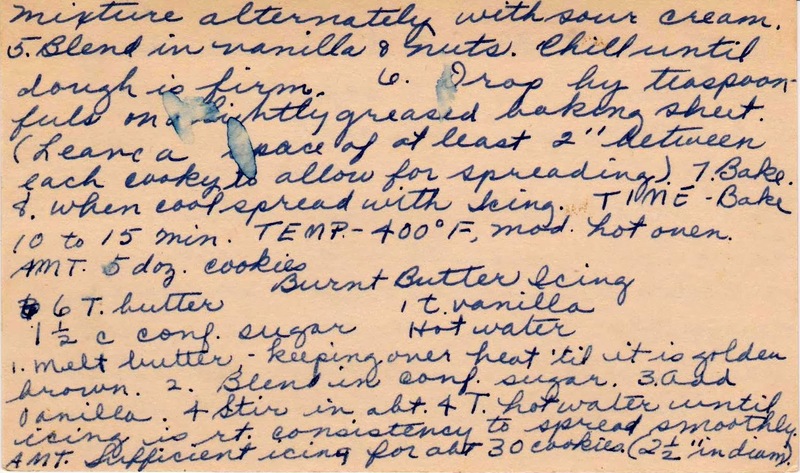 I decided to try the yummy sounding Butterscotch Cookies with Burnt Butter Icing from my collection of handwritten vintage recipe cards. (For insurance, I also made the much beloved Creole Praline Pecan Bars.) 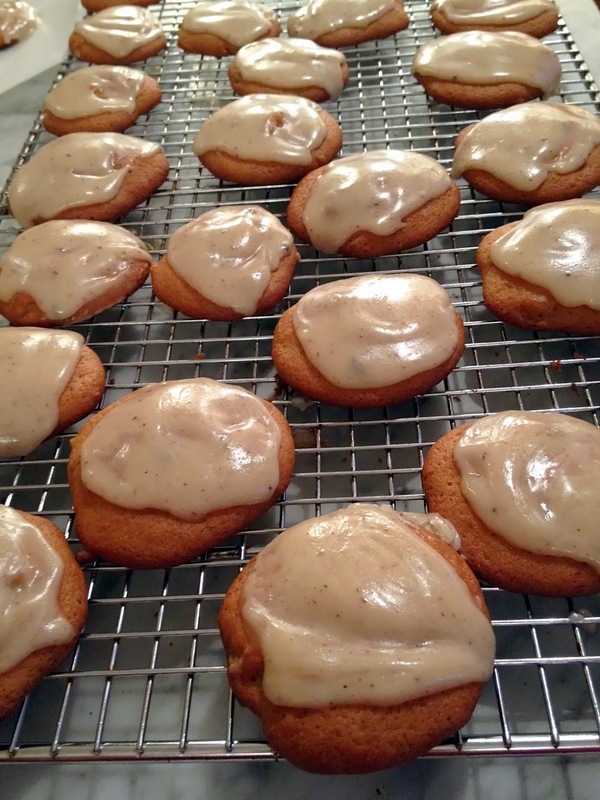 Although they were a big hit, the pecan bars were unnecessary -- the vintage cookies were delicious, made extra special by the burnt butter icing. 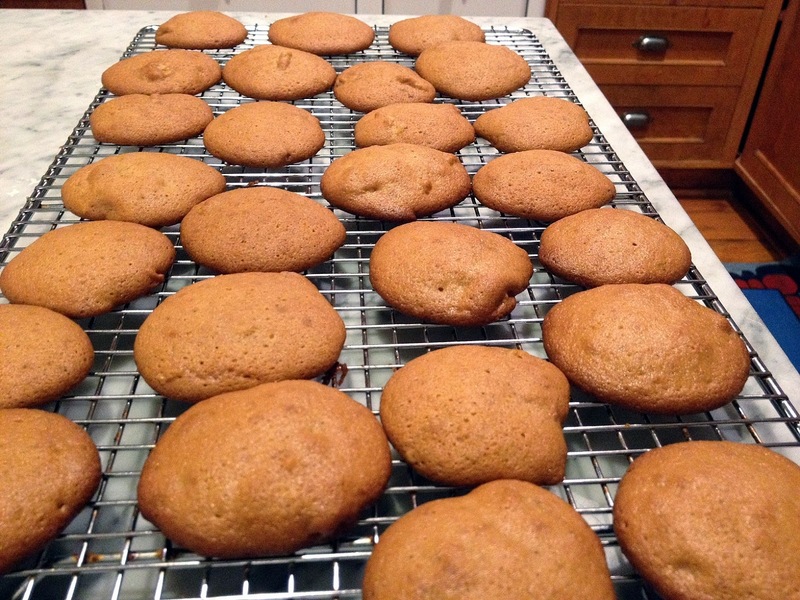 These soft, cake-like cookies, have a big old-fashioned taste. Because I'd only recently encountered burnt butter, I suspected that this was a more modern recipe. But apparently housewives in the 1940s (and maybe earlier) discovered the secret kick of letting the butter brown (hence the term burnt). 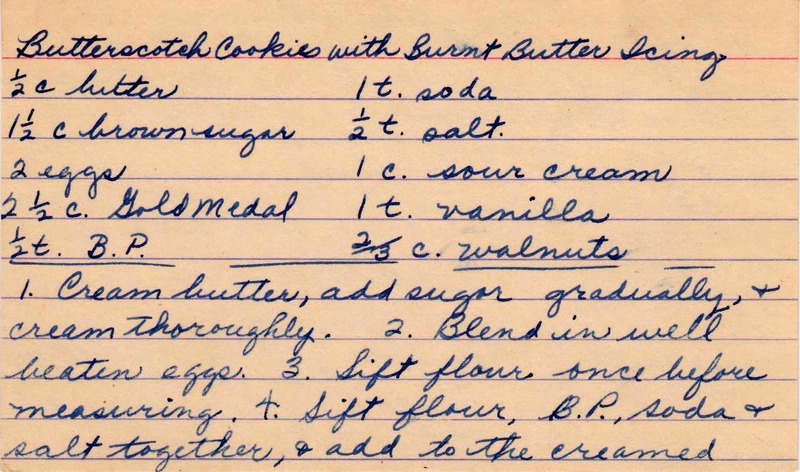 This exact cookie recipe won first place in a 2012 Ohio contest, submitted by a grandmother of 12 who learned it from her mother when she was about ten years old. 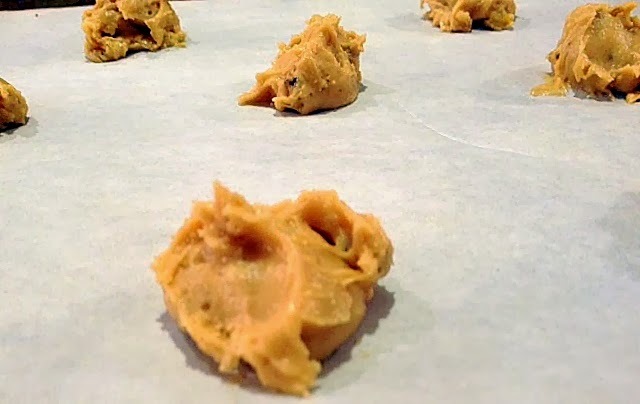 These are drop cookies, so you needn't fuss with how they look on the baking sheet. The oven will smooth out all the rough edges. 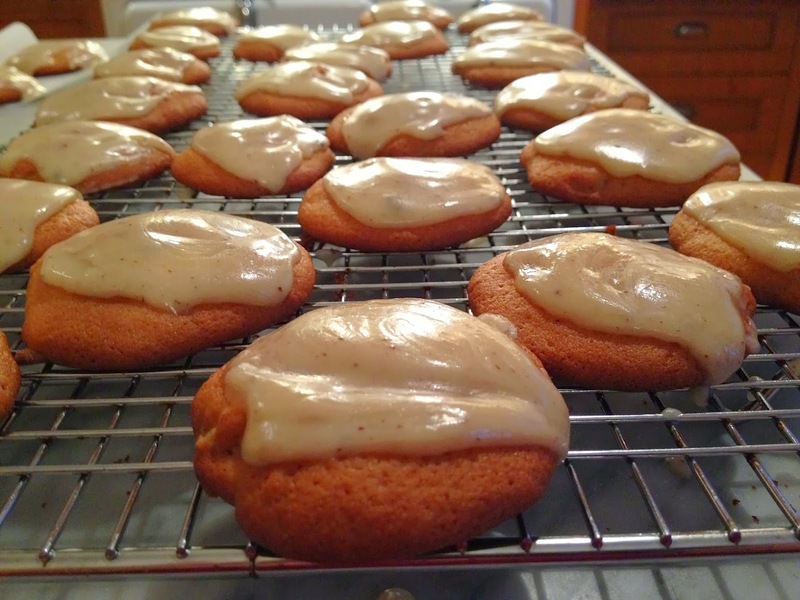 While the cookies are cooling, make the icing (which I did, but neglected to photograph). The school had provided guests with charming *small* containers to fill with cookies, but I was having none of that. 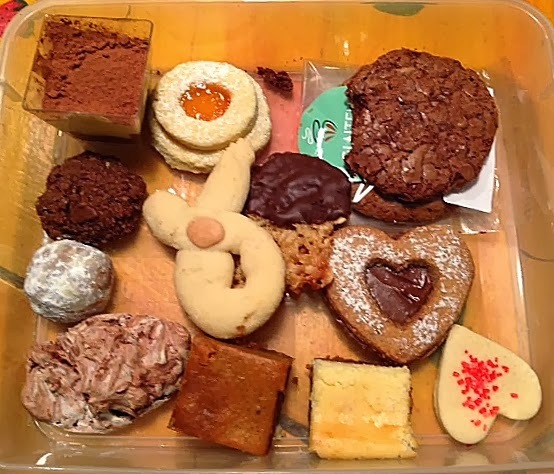 I filled my Tupperware (the one that I had transported my cookies in), intending to share the bounty with work colleagues. Let's just say they didn't get that far. The chocolate heart-shaped cookie (the chocolate hazelnut linzer heart) was baked by Deb and you can find the recipe here. And here are Deb and I at the event. Production notes: The only tricky part is the burnt butter. Let the butter melt and turn brown, watching carefully to make sure it doesn't burn. I used the tiny dark brown bits in my frosting, but you can discard them. Cream butter, add sugar gradually and cream thoroughly. Sift flour with baking powder, baking soda and salt. Add alternately with the sour cream to the creamed mixture, beginning and ending with the flour mixture. Blend in walnuts and vanilla. Chill until dough is firm. Drop by teaspoon on a lightly greased or parchment-lined baking sheet. Melt butter, keeping it over the heat until golden brown and smells nutty. Watch carefully, lest it burn. Blend in confectioners sugar and add vanilla. Stir in about 4 T hot water until icing is right consistency to spread smoothly. 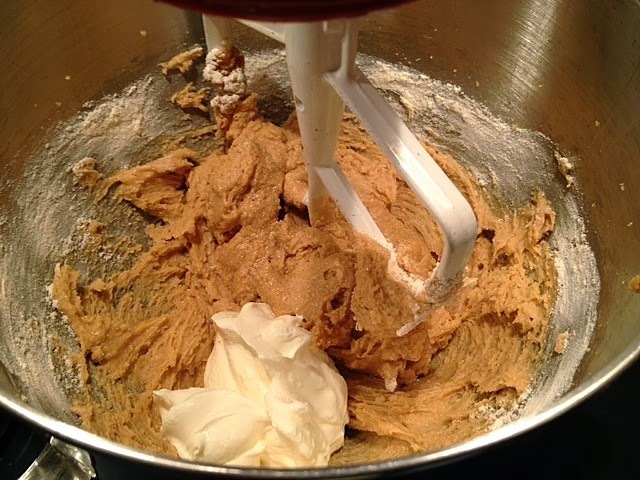 Spread over cooled cookies with a small butter knife or offset spatula. Smitten kitchen and your site are the two I visit the most. Worlds colliding! And I can't think of a better place than a preschool cookie swap. Thanks! As her avid readers know, Deb P is a major proponent of browned butter, so I can only imagine she would be in favor of these cookies.